Week 3 is upon us, and therefore so is the next installment of our prediction competition and Games of the Week series. Once again, Toby, Phil and Gur are presenting their recommendations for games you should check out this weekend, this week alongside the guest GotW from Tom and/or Tom at the TomTom Sports Podcast. Last week was tough for predictions, with the Cardinals shocking the Patriots, the Eagles managing to scrape their way past the highly fancied Ravens, and the Saints defense proving it was worse than everybody had feared. That said, no one in the competition scored below 7-9, with Phil taking the overall lead 20-12 thanks to his second 10-6 week in a row. Check out who we're backing in week 3, but first have a little shuffle through what we think are the biggest and most exciting games of week 3. With both sides coming off a somewhat surprising week 2 loss, and both sides gettting far too familiar with eachother, this game is set to be a big one. The Ravens feel like they've got the Patriots number. 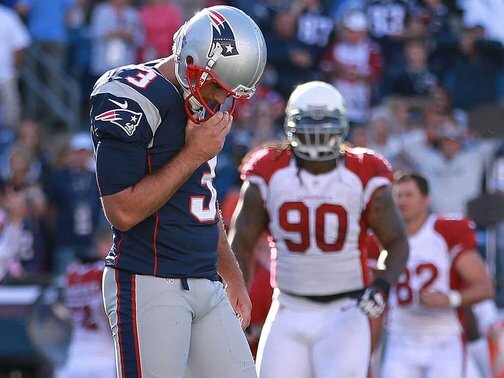 From the crushing defeat they handed the Patriots in the 2009 wildcard game in Foxboro, to two super-close losses in 2010 and then the 2011 AFC Championship Game they feel that they can stop Tom Brady and the Patriots offense, and really beat their defense. And there's a lot of credence to that, the usually prolific Patriots have only scored over 25 points on Baltimore once with Brady under centre, and that was during the incredible 2007 season, and was still only 27 points. The usual Patriots gameplan on defense is to take away your best player, and make you play left-handed. Last time that was Ray Rice, and I think that will be who Belichick focuses on again, but Baltimore are beginning to move away from Rice themselves and put more of the offense onto Joe Flacco's shoulders. As good as the Patriots front 7 has played so far, the secondary still looks weak, if Torrey Smith can find his way into those open spaces, and the improving TE duo of Ed Dickson & Dennis Pita. The Patriots will be thankful that Terrell Suggs is still out and 2nd year Nate Solder will be saved that test, but Haloti Ngata is still there to seriously test the iffy interior OL. I fully expect Tom Brady to be pressured even more than normal, and with Aaron Hernandez out one his jokers is gone. I expect the Patriots to use Ridley more than you might expect to try and slow some of the pass rush, but it might not work that well. While the Patriots almost never lose 2 games in a row, I think they will really struggle here, especially if they continue to keep Wes Welker on the bench. 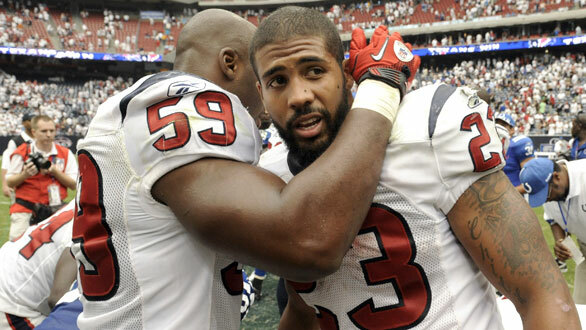 Arian Foster - best RB in the NFL? A matchup between two teams in the Top 10 of the TPL Power Rankings for September is bound to be a good one. The Texans have had it pretty easy to far, cruising past the Dolphins in week one, and easing past the Jaguars in week two. The Broncos will represent a much sterner test, and should tell us a lot about just how playoff ready this Texans team is, with many people already tipping them for an AFC Championship berth. Denver's opening schedule has been much more serious. An opening night win over the Steelers was an exciting start for Peyton in Bronco orange, and immediately set expectations of the Colorado team high. That came back down to earth pretty quickly in the first Q of week two, with three picks for Manning (plus a fumble from Willis MacGahee), that left the Broncos in too big a hole to come back from as they went down 27-21 in Atlanta. However, the Falcons look like a very good side to begin 2012, so a loss to them may not be too indicative of where the Broncos stand. There are currently six undefeated teams in the NFL - a number that will almost certainly be reduced to a maximum of four teams, as two of this week's matchups feature teams currently sitting at 2-0. 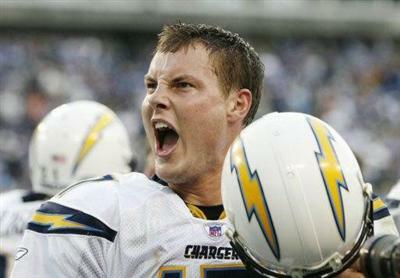 The more intriguing of the two games is this late afternoon game between the Falcons and the Chargers. Entering the season, the Falcons had plenty of questions around them - but going into this game, it's San Diego who has questions they need to answer. After two games, the Falcons appear to be one of the strongest teams in the NFC so far - something which definitely surprised me. The engine of the Atlanta offense for the past four seasons had unquestionably been Michael Turner - not Matt Ryan - but with Turner aging, it was clear he would not be able to keep going at the same pace for much longer, and I had my doubts as to whether Ryan would be able to handle being the focal point of the offense for the first time in his career, due to his poor play in the playoff games he has played. Suffice it to say that, so far, it looks like Ryan is much more than up to the challenge. On the other side of the ball, the defense has looked like a completely different animal under new co-ordinator Mike Nolan, and despite losing their best corner, Brent Grimes, after Week 1, were still able to execute the exotic coverages that even got the better of Peyton Manning. Not many defensive co-ordinators can say that. Can Rivers inspire the Chargers to stay undefeated? San Diego, on the other hand, are a hard team to accurately judge so far. While the Falcons faced their first real test against the Broncos last week - and passed with flying colours - the Chargers' 2-0 record comes against two of the weakest teams in the NFL right now, the Raiders (who they beat by just 8 points) and the Titans. Statistically, the Chargers are looking in good shape, with their defense allowing just 225 yards through the air a game and an NFL-best 83 yards on the ground through their first two games. On offense, while their run game has struggled to get going (as has the Falcons'), Philip Rivers' numbers matchup comparably to Ryan's, having thrown for just 6 yards and 1 TD less than Atlanta's signal caller. The difference between the two teams, of course, is that San Diego are yet to face a 'serious' contender - that changes on Sunday. The two teams are incredibly evenly matched up on paper. Both quarterbacks are playing in elements they have traditionally struggled - for Matt Ryan, it is playing on the road outside of a dome; for Rivers, it is playing in September. In this battle of two undefeateds, two pass-heavy offenses go against strong defenses in what should be one of the closest games of the weekend. Rookie of the Year candidate already? So we have decided to take a deeper look at the Monday night matchup between the 'Hawks and the Pack. Before preseason, this game was viewed as the 'Matt Flynn Bowl', with the Packers going to Seattle to face their back-up QB from the last few years. 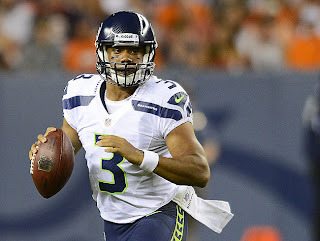 As it happens, Matt will be warming the bench as Russell Wilson takes the role as starting QB for the Seahawks. Wilson won the job from Flynn during the four week appetiser to the regular season and, to his credit, he has looked good in the first two games of the season. Seattle sit at 1-1 with loss against the Cards (uurrgghhh) and a win against the Cowboys. The Seahawks used that home field advantage last week which seems to make even the best QBs fall apart. This week will prove a tougher task, however, as it is Aaron Rodgers coming into town and not Tony "Choke" Romo. Wilson will have to be sharp against what looks like a much improved Packers D. Last week, the Pack held back the Bears and all of their new offensive weaponry. This was no easy task. The way the Packers rushed Jay Cutler and shutdown Brandon Marshall does not bode well for rookie-passer Russell Wilson. This is the first big challenge for Wilson, who will rely heavily on the legs of Marshawn Lynch. "Beastmode" showed last week he still has it in him, however, the Packers run D looks the best it has since 2010. Taking all of these things into account, we can't see the 'Hawks putting up more than 17 points against the Packers. If we flip the field and look at the Packers offense against the Seahawks D; 17 points doesn't look like it will be enough. Green Bay have faced two of the best defences in the league so far (49ers and Bears); they will see the 'Hawks as a little light relief. Although Rodgers has not set the world on fire so far this season, he still has the capability to put in a massive game. Take out some of the careless drops from his receivers and his numbers could be a lot bigger after two weeks. The addition of Cedric Benson is giving the Packers O balance which means Rodgers can calmly pick his passes rather than force them. At times against the Bears, Rodgers looked like a man playing catch in his backyard. If he steps it up we think that the Pack could put up 24 or even 30 points this week. This will be too much for Seattle. In this game keep an eye out for Wilson’s performance; can he raise his game to the next level? Also, watch out for how much the Packers utilise Cedric Benson. If the Seahawks can stop the run then Rodgers will be forced to air it out more. The problem for Seattle is, that’s suits Rodgers just fine. Hi. Tom and Tom here from TomTom Sports; a comic-banter-filled podcast that talks NFL as well as soccer. The podcast is run out of the UK and can be found at sports.outloudshows.com/tomtom-sports. Check us out and follow us on twitter @ttsportspodcast. OLR Week 3: Also Rans? Nevermore.